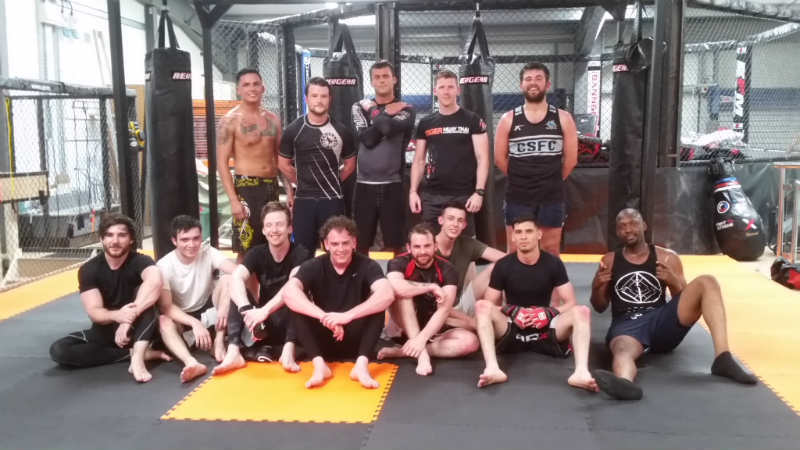 Are you looking to try MMA in Cardiff? You’re at the right place. Our facility is second to none for MMA in Cardiff, for the World’s fastest growing sport. Overseen by Paul “Hands of Stone” Jenkins, who still holds the accolade of Britains Busiest Fighter and managed by the Hangar staff. With the growth of the UFC and the popularity of fighters such as Conor McGregor, Ronda Rousey and Jon Jones, there’s never been such a great time to try out MMA for yourself. We currently have our own beginners classes at The Hangar on Mondays and Wednesdays at 6pm. Members can book into these free of charge and the coach is Paul Jenkins. We also have Rebel Alliance MMA which is a fight club who train with us Tuesdays and Thursdays at 6pm-7.30pm and Dogs of War who train with us 4 times per week. There are also kids classes on Mondays and Thursdays. MMA is Mixed Martial Arts. The earliest MMA can be found 6,000 years ago which was Shuai jiao (ancient Kung-Fu style). The first documented use of the name mixed martial arts was in a review of UFC 1 by television critic Howard Rosenberg, in 1993. The term gained popularity when the website newfullcontact.com, then one of the biggest covering the sport, hosted and reprinted the article. The first use of the term by a promotion was in September 1995 by Rick Blume, president and CEO of Battlecade Extreme Fighting, just after UFC 7. UFC official Jeff Blatnick was responsible for the Ultimate Fighting Championship officially adopting the name mixed martial arts. It was previously marketed as “Ultimate Fighting” and “No Holds Barred (NHB)”, until Blatnick and John McCarthy proposed the name ‘MMA’ at the UFC 17 rules meeting in response to increased public criticism. The question of who actually coined the name is a question still in debate. How Can You Try MMA in Cardiff?